Thank you for giving voice to the “anger and rage” that many women must feel about never being honored or appreciated in their society. I hope that change will come soon and women will be out of the shadows — free to follow whatever path they choose. It depends on countries and cultures. Here in South America in natives areas lakes, mountains and river are always in feminine. Mother lake, mother mountain, mother river.In India often too like Mother Ganga. Yes I know but in Afghanistan it is not same here women are a slave and men call them defective mind. Women should be able to have freedom and the same rights as men. I find this very unfair that in some countries women are restricted to express themselves and just do whatever they want. Women are also human beings who should get a fair chance at life instead of being restricted to only a few things. Men treated women as property, which is definitely not a right thing to do to anyone. People should treat others by how they want to be treated. I am glad that everything now days is improving everywhere in the world. Eventually, women would get their own freedom in counties that are still developing today. After reading this passage, I feel absolutely sympathy with the women in Afghanistan. They have little freedom, and few men in Afghanistan respects women. I really like how you use simile to describe women there, which is “Confined like animals to cages”. The woman are not treated as fair as men in Afghanistan, and some men even regard the women’s position like a slave which should serve the men all the time and obey what the men asked them to do all the time. I really don’t like this society, because I think woman are also human. They also have brain and have their own perspective, and in a lot of times, their opinions are better than men’s. Thank you for sharing this poem. This poem clearly shows how much women suffered and still are suffering in Afghanistan. The repetitive structure where the poet began every stanza with “In my country” really emphasizes how women are suffering everywhere, yet no one pays attention to them. The repeating phrase also made the situation seem relevant and personal to me, because this is not just a random country but a home for so many people. I was shocked by many of the images the poet shows through this poem, especially about how women don’t have any freedom and are “confined like animals to cages.” This really shows how women are treated as property, and how powerless they are. I think everyone should read this poem: the people in Afghanistan should read this poem to spread awareness about how women are suffering so that they can change their ways, and other people such as Americans should use this opportunity to think about how lucky they are and then find some way to help out. same time, I am sorry for what you have experienced. Nobody should have been treated like a property! I hope in the near future, people around the globe will all understand this idea…. I don’t understand my fellow men… Do they not love their mothers? Their sisters? Their daughters? Even if they cannot see people as people rather than breaking everything down to gender and gender roles… Don’t they care about the women in their own lives? And if they do, how can they not recognize that all women are mothers, or daughters…sisters. I don’t mean women only matter because of their familial roles, but i don’t understand how even the dumbest, meanest man can’t see a path to respect of some sort. I’m afraid a huge chunk of the worlds men are just selfish, thoughtless, babies… Maybe they see and just don’t care. Maybe they just like being in the privileged group, so damn the suffering of others and to hell with justice and reason. It makes me angry and sick. /// Thanks to the author for speaking up… I wish i could offer hope, but i can only offer solidarity. Until we are all free and respected, none of us are. I pray this situation changes. Dear Shakiba, thank you for sharing this beautiful and impactful poem. I am deeply saddened to learn about the abuse and mistreatment that women have been forced to endure in your country and I pray that one day all women will be viewed as equals and be treated with the respect and dignity that they deserve. Thank you for sharing your poetry. I hope you can find peace after going through what you have gone through and I hope you keep sharing. Thank you Shakiba. Thank you for this stunningly moving poem. I can feel the frustration, sadness, and most of all hopelessness come off the page (or screen) and hit me like an arrow in the chest. Please take that rage and continue to push forward with your writing. You are talented and your poetry is very much appreciated. Your poem, In My Country, has an extremely emotional yet important message for men and women alike. Women deserve the respect of everyone. 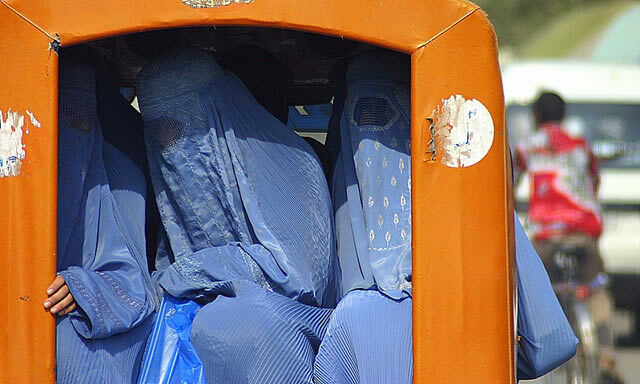 You have described the discrimination against the women in Afghanistan and the unfair treatment against them. Throughout the poem, the important task of women in upholding the Afghan community is demonstrated as well as their maltreatment in society. Despite suffering childbirth and taking care of the family, women are still hidden away and treated terribly. As you mentioned in the poem, streets are not named after women and there is no recognition of their hard work. Your poem brings to light the importance of respecting the women in our societies for everything they do to uphold our way of life. You used a simile to compare the treatment of women to the treatment of animals in cages. That comparison accurately portrays the common misconception that men are greater than women. I believe that women all around the world need to stand up and support the women in places such as Afghanistan who do not have the same rights. This poem’s emotion and strength has opened my eyes to see the struggles that Afghan women face every day. Thank you for sharing this message. Your poem expressed the anger and rage of millions of people that support gender equality around the world. As you mentioned, women work just as hard as men if not harder, but nothing was ever attributed to their work. The comparisons you made with women and shadows and animals confined in a cage is accurate as they are never appreciated and given freedom. I believe your writing is powerful that it can move people and bring out the moral conscious in people to provide what women deserve. You should continue to express your thoughts through writing, and it is people like you that are going to make the change happen. This is a particularly powerful statement; you remind us of a country filled with suffering, grieving women whose struggles – and very existence – are not not made a part of the public dialogue. Your poem is important because it refuses to forget: it demands that Afghan women be seen as human, and as survivors. I hope that you continue to tell your story and to bring a voice to the women of Afghanistan. Thank you for sharing your poem with us. Your writing has portrayed the reality of life in Afghanistan. Your voice is powerful and can be used to fight for women’s’ rights. After reading your poem, I feel more thankful for the life I have. It is disappointing to know that women still aren’t being accepted in all areas of society. Women are powerful people who deserve more rights. It’s sad knowing that women give birth to people who turn against their mother’s gender. I hope you continue telling your story. You are strong and have helped express thousands of peoples’ voices around the world.